The Android 7.1.2 Beta image and over-the-air update arrived for the Nexus 5X last night and users who updated immediately started looking for new goodies. The first found is the newest addition to “Moves,” which are the physical actions Google has added to Android that allow you to quickly open the camera or check notifications on your display without waking your phone, for example. The newest steals directly from the Pixel, though. That’s right, “Swipe for notifications” is there! With this new Move, you can swipe down on the fingerprint reader to access your notifications shade and then swipe back up on it to hide it. It’s a neat trick that is more than just a trick. Like the “Jump to camera” action, swiping your finger across a fingerprint reader to access a hard-to-reach area on a phone is pretty brilliant. 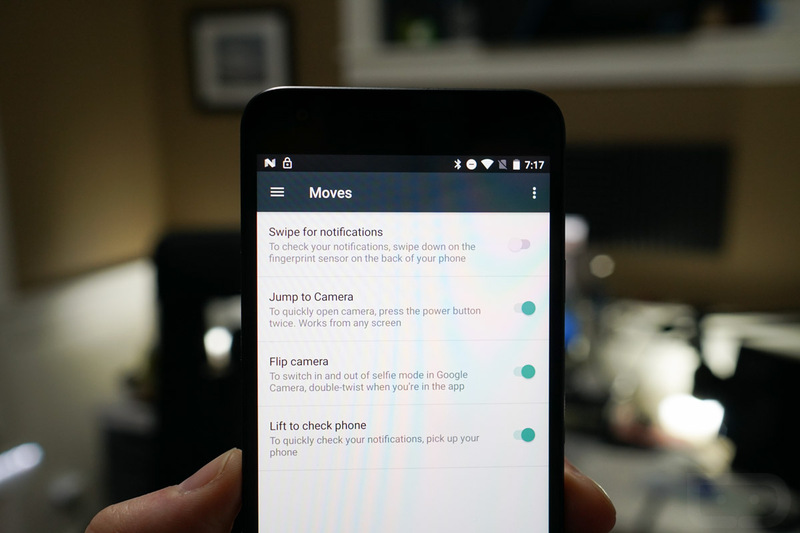 If you update to Android 7.1.2, you’ll find the option in Settings>Moves. It should be right at the top, as you can see in the image above. So wait, does this mean the feature is coming to the Nexus 6P? I’d say, probably. I can’t imagine that Google would introduce the fingerprint swipe to the 5X, yet leave it off the 6P. I don’t want to make you any guarantees, but this is a good sign, no?